I love my pets. I really do. Unfortunately though…I don’t love how they make my house smell sometimes. Don’t get me wrong, they aren’t DIRTY, but sometimes there’s just a lingering pet smell, or as I like to call it… “Dog Stink” that just permeates the house. Yuck. Fortunately I have found inexpensive ways to eliminate pet odors, and for the most part, its as simple as vacuuming. The key to eliminating pet odors is making sure all the fur and dander is out of the carpet and upholstery. 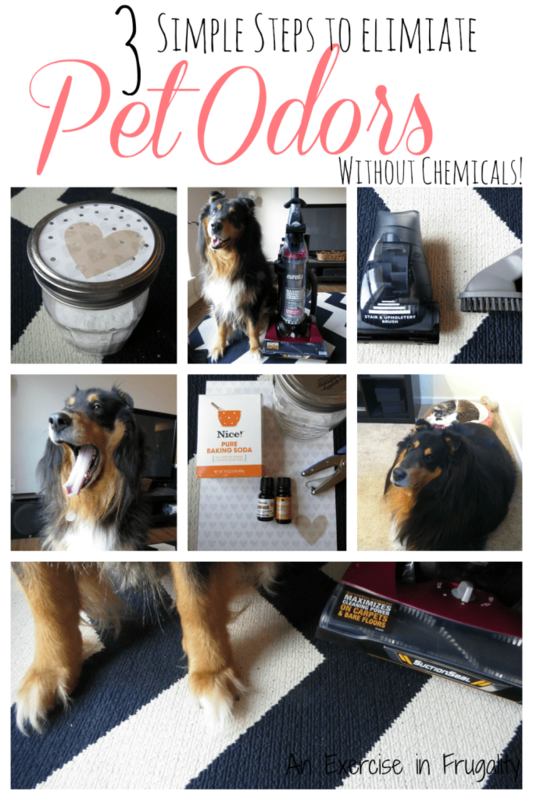 Let’s take a look at how we tackle our epic pet messes and Dog Stink to make our house look and smell clean and fresh! 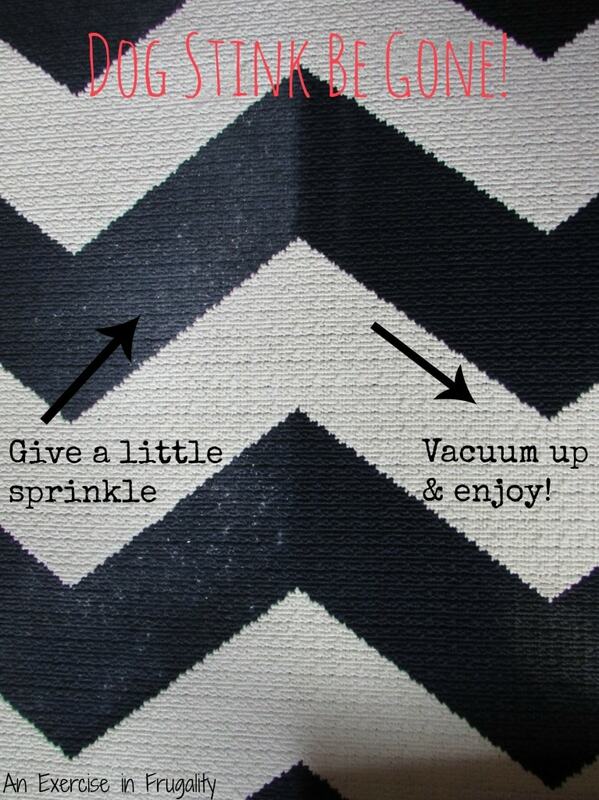 Don’t buy that expensive, perfume-y carpet sprinkle junk at the store. It’s a rip off, and its full of who-knows-what kinds of chemicals and perfumes, and it just covers up smells. I don’t know what they put in there, but no matter what kind I get it makes me sneeze, and often it makes my pets sneeze too! There’s no need to buy an expensive carpet powder you’re just gonna vacuum up anyway. 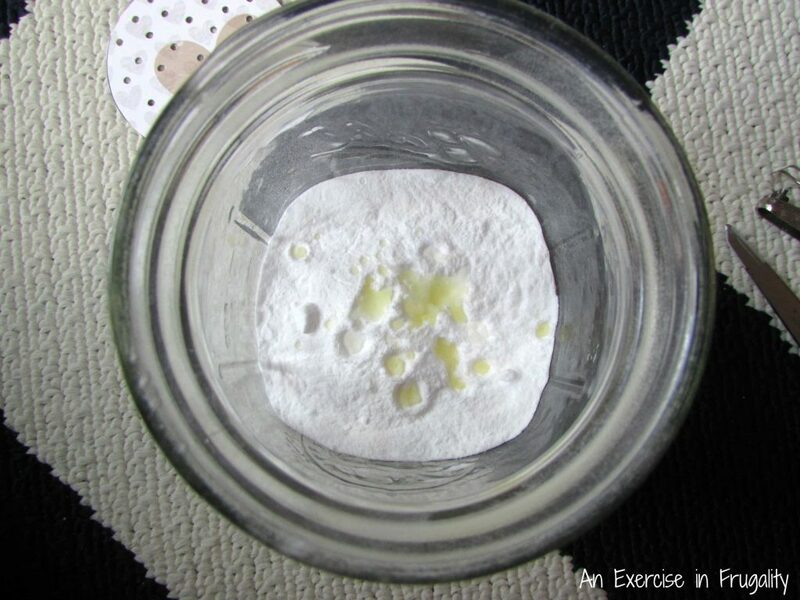 Plus, its so incredibly simple (and delightfully cheap) to make, you can control what scent and what amount of scent is used, and its safe and non-toxic for pets and kids! Now, there’s lots of recipes out there for carpet deodorizing powders, but the key is to keep it simple. All you need is 1 box of baking soda, and essential oils of your choice. 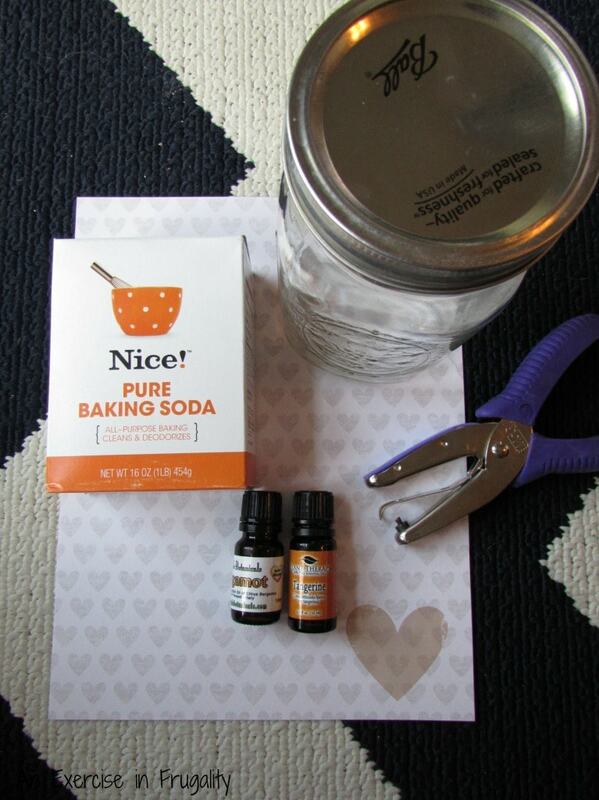 Simply dump the box of baking soda into a jar (whatever jar you have is fine, I used a mason jar because its easiest). Then add 40 or so drops of essential oil depending on the scent you’re using and how strong you want the scent to be (best to start with less and add more). I used two oils, Tangerine and Bergamot, so I did about 20 drops of each. I find citrus scents to be best for combating pet odors, as both have antibacterial and deodorizing properties, but you can use whatever you find pleasing. Be sure to check to make sure the oils you choose are not toxic to your pets. Also, remember when I said to keep your recipe simple? 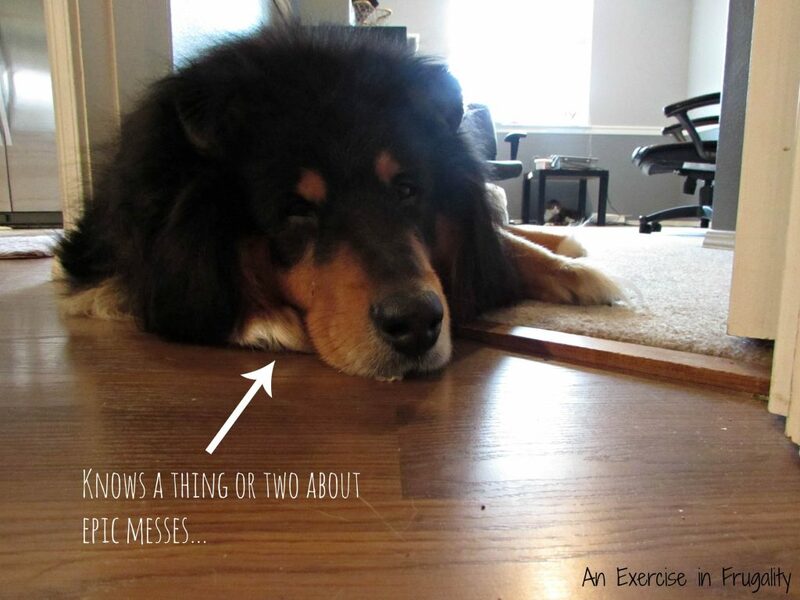 There are carpet sprinkle recipes out there that include Borax for fighting fleas. Borax is toxic to fleas, but its also toxic to pets. DO NOT use Borax in your carpet powder if you have pets, as they may ingest trace amounts and become sick. Better safe than sorry right? Anyway, back to the powder. Just add your oils, replace the lid, and shake well for 30-60 seconds to mix very thoroughly. 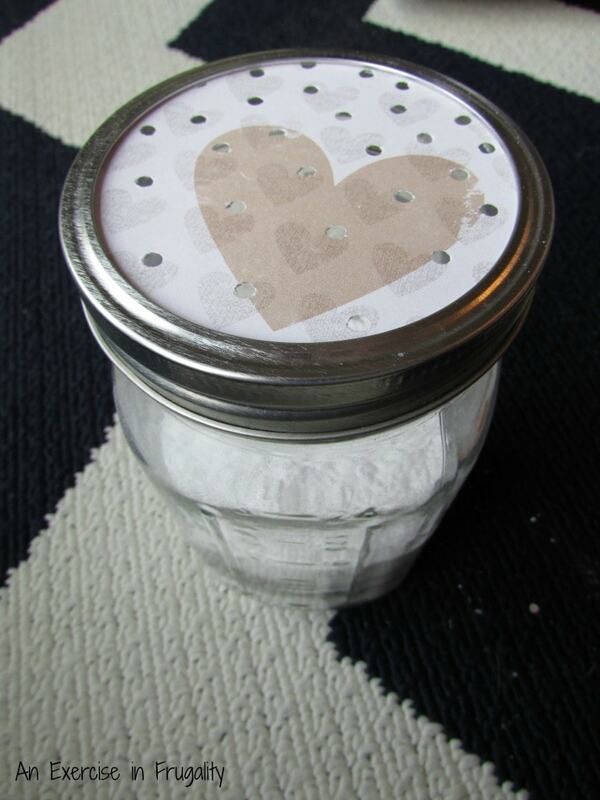 To make the “shaker” part, simply trace the lid onto a sheet of card stock and punch holes in the card stock. Then replace the lid with the card stock shaker, and twist on the ring. To use, simply sprinkle a liberal amount on your carpet, couch, mattress, doggy beds…anywhere you need a little freshness. Then allow to sit for a few minutes before vacuuming up. Easy as that! Vacuums don’t necessarily have to be expensive to be good quality. You don’t have to spend hundreds of dollars on a Dyson. We tried the Eureka SuctionSeal 2.0, and it works PERFECTLY on pet hair, and I know a thing or two about pet hair. For those of you who haven’t heard about Bear…Bear is probably one of the furriest dogs you’ll ever meet. He’s two parts collie, one part husky and 100% shed-machine. Seriously, I have never met a dog that puts off as much fur as he does. He sheds in clumps. We lovingly call them “tumbleweeds”. His fur is everywhere, and because he actually has TWO coats of fur (an outer coat of long fur, and a thick wiry undercoat) his fur is so dense, its hard to really give him a good bath. Therefore he tends to have that lovely doggy aroma…you know…Dog Stink. Bear makes some pretty epic messes, especially when we brush him. When we get him to sit still long enough to be brushed, we usually remove enough fur to make a second dog. He sheds everywhere, AND he tracks in all sorts of dirt, sand, leaves and junk because he has long fur on his paws too. He also loves “trash can snacks”: that’s when he steal tissues from the bathroom garbage cans and shred them in to tiny little pieces and leave trails of them everywhere. Grosssss. 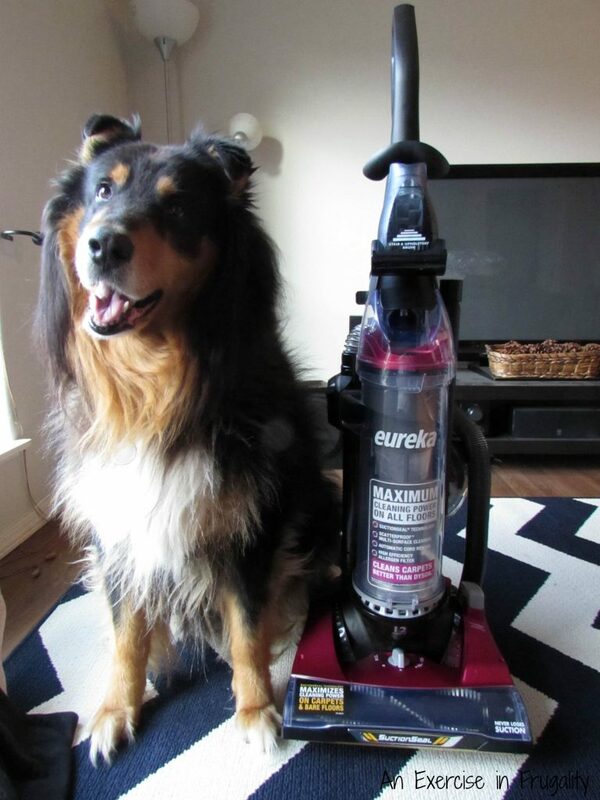 It’s a never-ending battle trying to eliminate pet odors, and so we knew we would have to equip a pretty great vacuum. 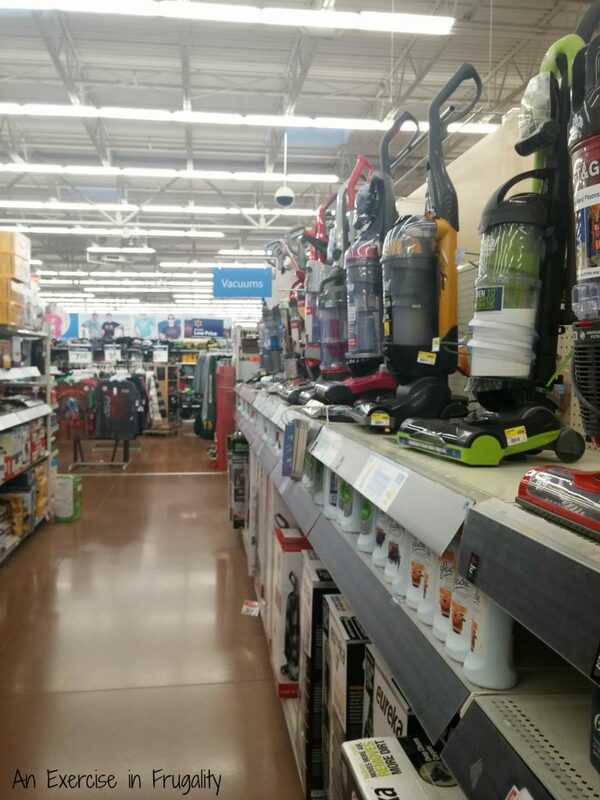 When shopping for a vacuum as a pet owner, there’s a few things you need to look for. You want one that has an allergen filter and scatter-proof cleaning. Nothing worse than those lightweight hairs getting blown all over the place instead of being sucked up! 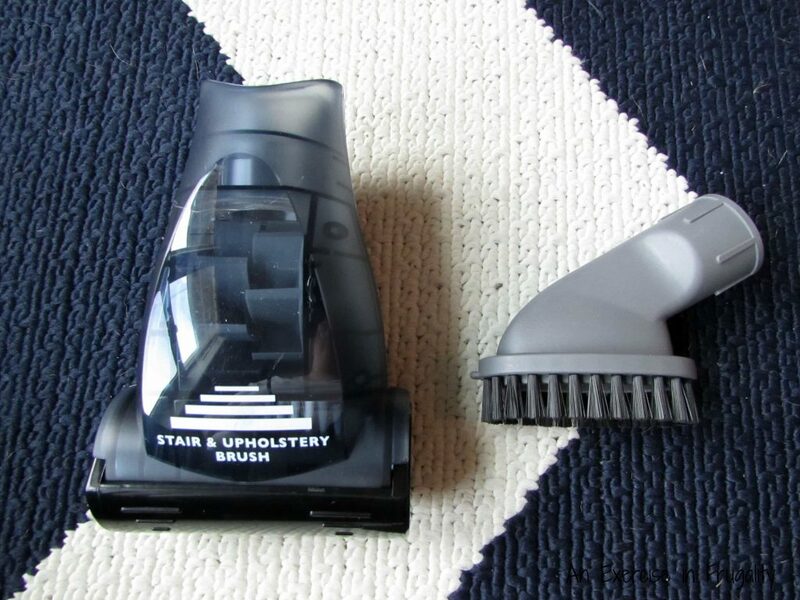 You want a vacuum that doesn’t lose suction, and a canister vac for ease of cleaning out (so it doesn’t get clogged or start dumping dirt back into your carpet!) And lastly you want something with good reach: both a long cord and a long hose are so important if you want to be able to maneuver stairs, couches, window sills and all the other places that pet fur and dander can hide. You can’t eliminate pet odors if you can’t reach their source! 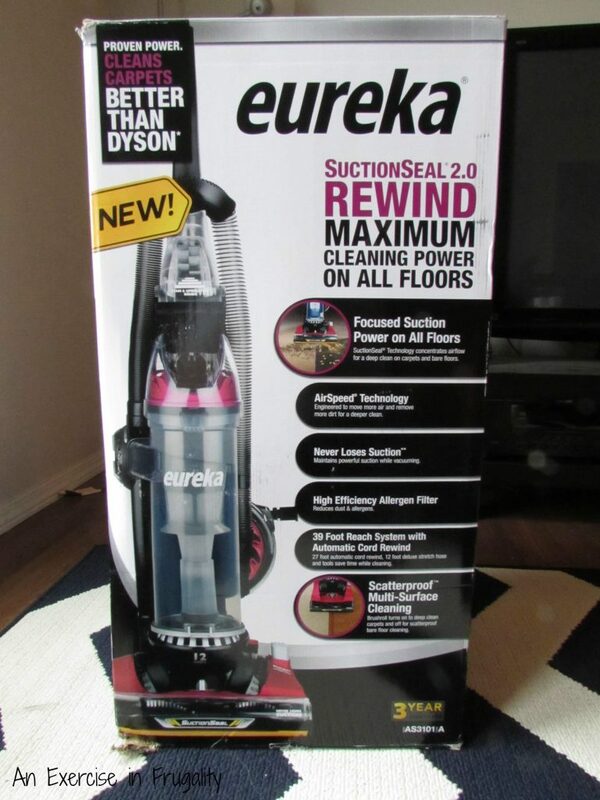 Thankfully the Eureka has attachments that make cleaning non-floors a breeze. Oh, and make sure you get a vacuum that has washable filters. Unless you like paying lots of money for hard-to-find replacement filters. Which I do not. Now do a little happy dance, because the SuctionSeal 2.0 has washable filters! We also use it on our vinyl floors and tile too. Because dog hair knows no bounds. I found that the Eureka SuctionSeal 2.0 met all the pet-fur-fighting criteria…and it’s on Rollback and Walmart for $129 down from $148.88. A vacuum that will eliminate pet odors and its only $129? Pinch me, I must be dreaming! I know this is probably not what you want to hear, but once or twice a year, shampooing your carpets will help eliminate pet odors. If you don’t do it, eventually the smells will set in and its harder to get them out. By keeping up with it, its actually easier to maintain, you won’t struggle with deep, set-in stains as much, and your whole house will actually smell cleaner! You can buy a carpet shampooer, or simply rent one from your local hardware store. There are lots of recipes out there for natural, chemical-free carpet cleaning solution as well if you’re worried about toxins. Make sure you vacuum very thoroughly before you shampoo, and skip the carpet powder. Let the carpets dry thoroughly before you walk on them. Use fans and/or open windows if possible. Any moisture trapped in the carpet padding can cause more smells, so be sure to use as little water as possible in the shampooing process, and let it dry completely after. 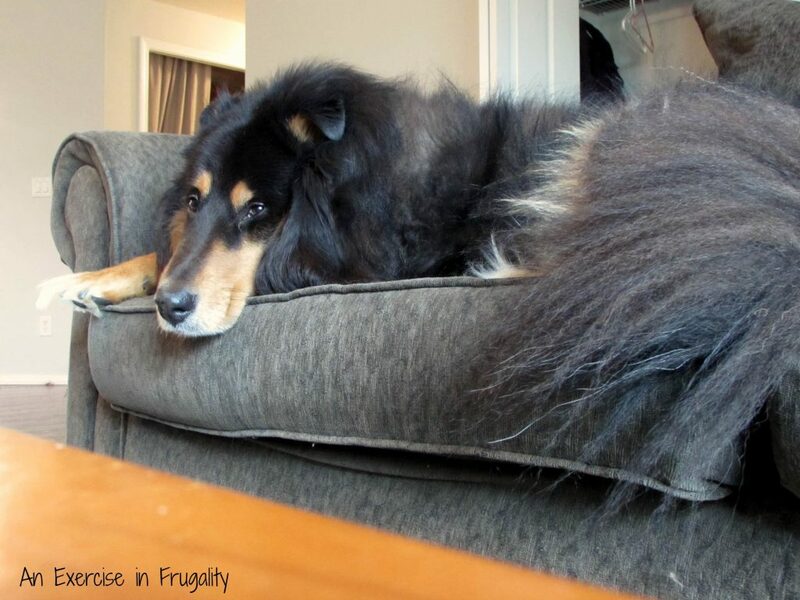 It’s amazing how much you can eliminate pet odors with a good, thorough vacuuming. It is one small thing you can do that really makes a difference. Plus, regular vacuuming actually extends the life of your carpet! With the holidays coming up, no doubt you want your house clean, fur-free and smelling sweet. 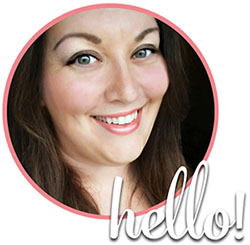 I hope you find this post helpful in achieving those goals! I know I have a lot of vacuuming to do to get my house ready for relatives visiting for the holidays. Maybe I could teach Bear to vacuum? Ha! Want to eliminate pet odors? Please share this post! Its a wonderful idea! I have three German Shepherds…and the amount of fur they shed is crazy. I love the idea of shaking baking soda and essential oils on carpet and pet beds, however are there any oils to avoid because they are bad for dogs? Thanks for stopping by! There are definitely some essential oils that are bad for dogs, and some dogs may be allergic to certain ones as well. The two mentioned in the post are safe for pets however I would definitely suggest checking with your vet before you use any essential oils to make sure they are okay for your pets, especially if using them in close proximity like pet beds.